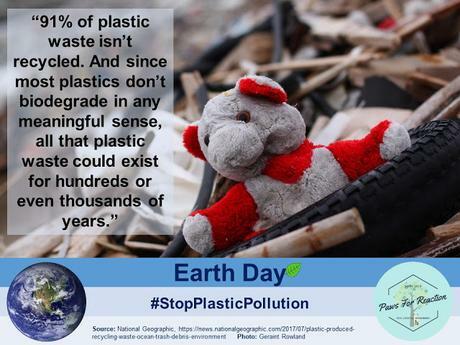 This year’s Earth Day theme encourages us to take a closer look at our use of consumer plastics and one-time use plastic like straws, bags and water bottles, and how it affects the planet. Every year, Earth Day Network launches campaigns to inspire people to take part in Acts of Green, to help heal the planet and educate about pollution. The goal for 2018 is to have people commit to End Plastic Pollution. Plastic pollution is one of the most difficult environmental challenges we face today, but also one of the most important ones. It is crucial that we reduce our plastic waste- especially one time use plastics. We need to start setting aside consumerism, convenience and cost effectiveness. Plastic pollution is something we can’t ignore- it is apparent when we walk down our streets, fish our rivers and visit local parks. The devastation of this problem is everywhere- it’s an epidemic. Plastics don’t just affect the landscapes, wildlife and waterways- plastic also affects the health and well being of humans. Since the invention of plastic in 1907, trillions of oil-based plastics have been produced. These plastics have been found to be a hazard to the human body. Chemicals leached from plastics used in the food and beverage industry- like water bottles and plastic food storage containers- have been shown to have levels of toxins. Since plastic is a petroleum product- created in a similar way as refined oil is created- plastic has a greater impact on climate than what most would expect. It is important that we connect not only plastic pollution, but the creation of plastic itself to climate change. Making a commitment to end plastic pollution is making a climate commitment. 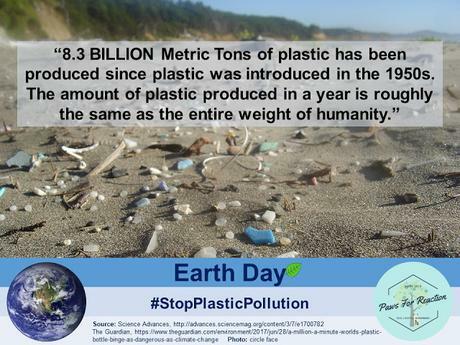 Leading up to Earth Day I will be sharing some facts about plastic pollution and making some commitments of my own to further reduce my plastic consumption. What will you do to reduce your plastic use? Will you make a commitment for Earth Day? Let me know in the comments!